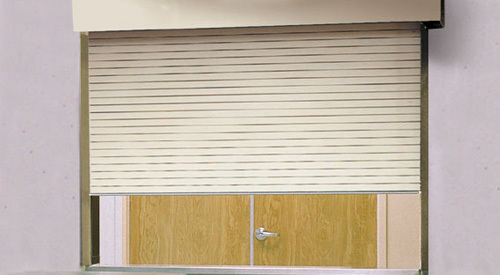 Rolling Counter Fire Doors (also called fire shutters) secure openings above counters and other similar finished openings on interior and exterior walls. When the compact components of Counter Fire Doors are desired, these units can fully close to the floor. Click here to go back to products page.